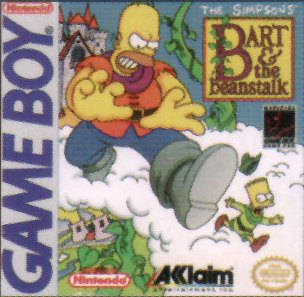 The Simpsons: Bart and the Beanstalk is a game for the Game Boy released in 1994. 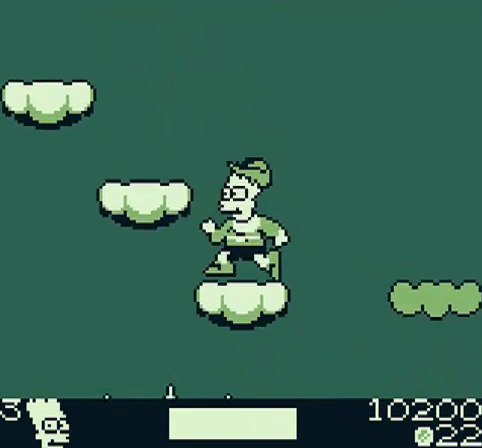 It merged the Simpsons with the fairy tale of Jack & the Beanstalk. 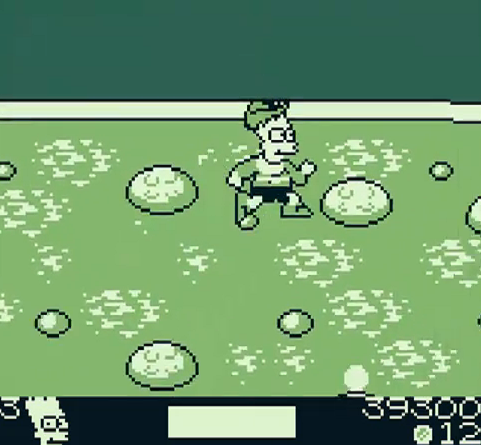 Once upon a time, there was a poor family wih a son named Bart Simpson. All they had were some donuts and a cow. 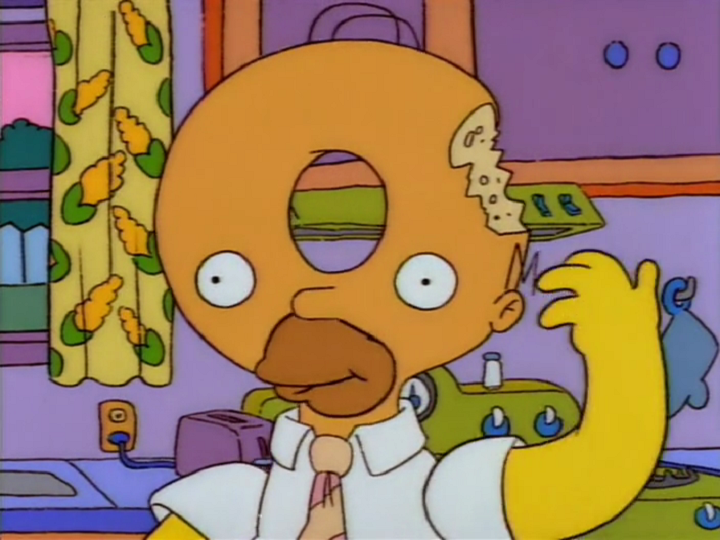 One day, when the family ran out of donuts, Homer told to Bart to go to town and sell the cow. Bart ran into Monty the Miser. Monty offered some magic beans in exchange for the cow. Bart didn't want the beans, so Monty tells Bart he could also have a slingshot. Bart accepted the offer and goes home. When Bart came home, Homer popped the beans into his mouth, thinking it was candy. 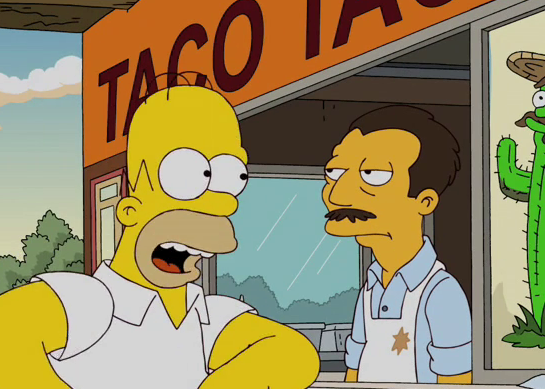 Homer didn't like the beans, so he sent Bart to bed. 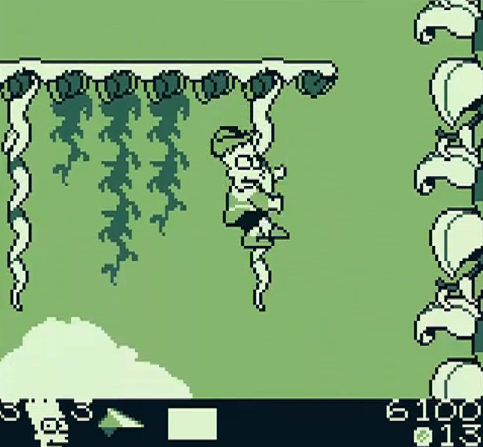 When Bart woke up the next morning, he saw a giant beanstalk going up into the clouds and started to climb it. When he reached the top, he saw a giant castle and walked toward it. 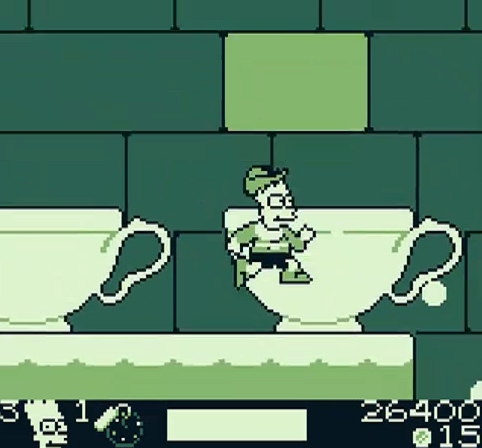 When Bart arrived at the castle, he opened the door and saw the beutiful wife of a giant. The wife invited Bart in for a snack. The giant's wife warned Bart to not touch the giant's three prized possessions: a bag of gold, a magic harp and a goose that laid golden eggs. The wife also recommended he avoid the soup du jour. 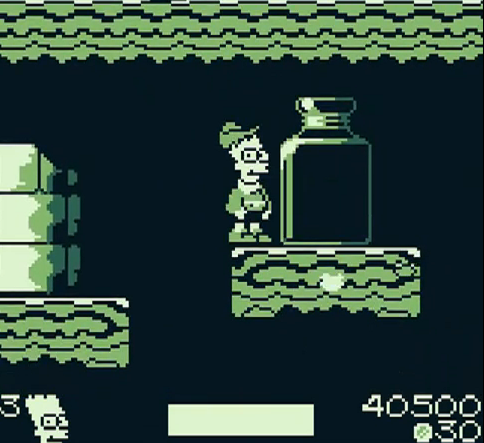 Bart collected the three items, left the castle, and went home with the giant's treasures. 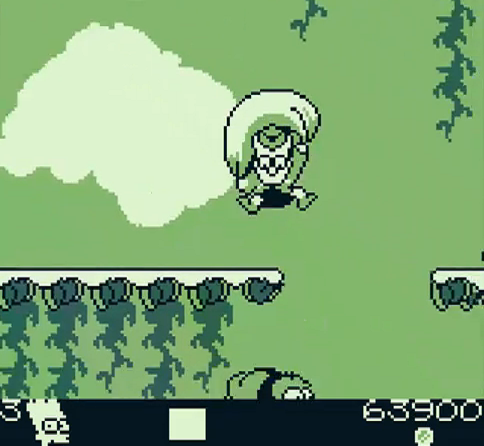 An angry and very hungry giant started to follow Bart down the beanstalk. 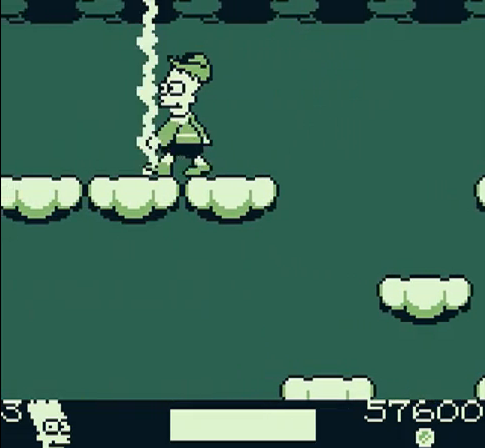 Before the giant could reach the bottom Bart grabbed an axe and chopped down the beanstalk. The giant fell and Bart's home shook so much that the family ran out to see what had happened. Bart showed him the gold, the harp and the goose and they were all so excited they were speechless (except for Homer, who said "That's one ugly giant."). Bart's family used the money to buy a new cow and the money made by selling the goose's golden eggs kept Homer rolling in donuts for the rest of his life. Modified on September 20, 2013, at 21:18.